Throughout history, the race for President of the United States has been a contested affair closely watched by Americans and others around the world. Leading up to November 8th, we will look at major U.S. presidential elections and the impact they had on shaping the country. In 1796, the Constitution did not provide for separate votes for President and Vice President, and state legislators chose electors in most states. John Adams of the Federalist Party ran against Thomas Jefferson of the Democratic-Republican Party. Adams won the 1796 election and Jefferson, with the second highest number of votes, became Vice President, rather than Adams’ running mate Thomas Pinckney. Adams and Jefferson faced off again in 1800, with Charles C. Pinckney (Federalist) and Aaron Burr (Democratic-Republican) running for the Vice Presidential seat. The election, decided by an electoral college, resulted in a tie. Jefferson and his running mate Burr each received 73 votes, while Adams secured 65 votes and Pinckney 64 votes. The tie meant the election would be decided by the House of Representatives, where each state had one vote. The House was controlled by Federalists strongly opposed to Jefferson; however, two state delegations, Vermont and Maryland, remained evenly split, causing deadlock between Jefferson and Burr. Six days and over 30 tied ballots later, the Federalists in the tied states withdrew and Jefferson was elected President. The election of 1800 was the first example of an opposition party peacefully taking over power through the electoral process. At the time, the United States was barely over a decade old and many founders worried that a change in political party could disrupt the young nation. 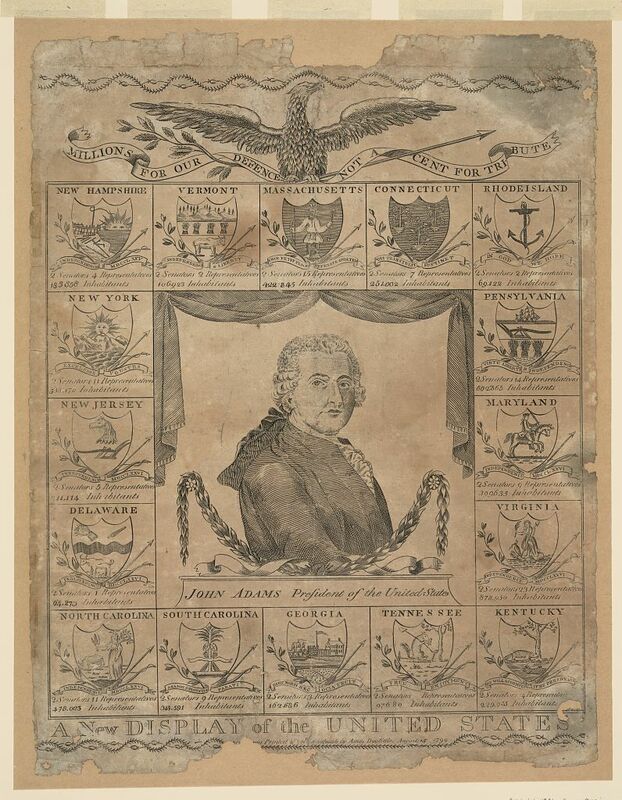 The election of 1800 also saw the growth of a two party system, a political development that George Washington fervently opposed, as well as the beginnings of modern campaigning through attack ads, introductory campaign headquarters, and the use of newspapers to spread political messages. Finally, the election of 1800 was the direct cause for the adoption of the 12th Amendment, which separated the Presidential and Vice Presidential races.